Need a Roof Repair or Installation? 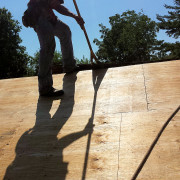 NJ's TRUSTED Residential Roofer for over 13 years. 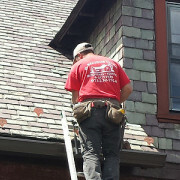 NJ's TRUSTED Residential Roofer for over 13 Years! 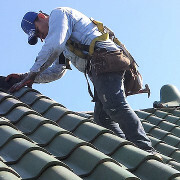 At H. Recinos Roofing, we regard roofing as work of craftsmanship. With the perfect materials, our residential roofing company will install a roof that truly captures the essence of your home and increases its resale value. We approach each project with an unwavering work ethic and unmatched dedication to perfection. Our comprehensive roof construction services include roof installation, roof repair and roof replacement. 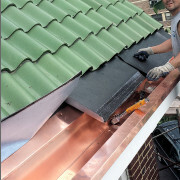 Installing a new roof will greatly enhance the appearance of your property, as well as protect the contents of your home. With flat roof, asphalt, slate, cedar shake (wood), and residential metal roofing options, you can choose the color and material to perfectly compliment the style of your home. At H. Recinos Roofing, we understand the investment you've put into your home. As a result, our roof installers vow to build a roof that will truly withstand the test of time. We stand by this promise with a 25 year to lifetime warranty. If you're looking to install a new house roof, H. Recinos Roofing offers services to assist you with the entire process. Our expert home roofing contractors will assist you in choosing the perfect roofing option for your home. We begin by removing and demolishing the existing roof. Our roof framing outlines the project space and provides a solid, long-lasting foundation. Finally, we'll install and finish the new roof, leaving you with a beautiful finished product. No problem, we have you covered. We understanding your roof plays a tremendous role in protecting your home from the wrath of the seasons. By the same token, an impaired roof has the power to inflict a lot of damage to both your home and the precious belongings stored inside. If you begin to notice stains on the interior roof of your home, it can be indicative of a leak. Individual roof leak repair processes are contingent on your roof's surface and structure. 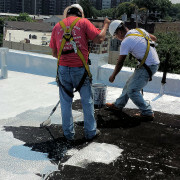 As opposed to short term patching, our roof repairs are a permanent solution. Have you noticed a leak or staining? Don't hesitate to give us a call at 973-230-7924. During an emergency, long-lasting residential roof repair is not always a viable solution. In instances of severe or inclement weather, an emergency roofer will install temporary covers or tarps. We pride ourselves on reaching your property quickly while working as efficiently as possible to minimize the damage. Get Started Today with an Accurate Estimate! Residential roofing is beneficial to both the appearance and protection of your home. 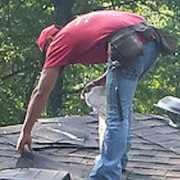 Our roofers will come to your home to assess the scale and depth of your individual roofing project. Join the hundreds of local homeowners who have placed their trust in H. Recinos' roofing services and remember H. Recinos has your covered!